A newly released study by scholars at the Harvard Ukrainian Research Institute (HURI) is attracting enormous attention in Ukraine because of its key findings: Ukrainians in the center of the republic suffered more than those on the periphery, and ethnic Ukrainians died at twice the rate of other nationalities in that Soviet republic. HURI‘s press release for the study is at huri.harvard.edu. Among the stories in Ukrainian are voanews.com, apostrophe.ua and espreso.tv. For an English summary, see forumotion.com. Serhii Plokhii, HURI’s director, said the preparation of the MAPA Digital Atlas of Ukraine overturned widespread assumptions about the Holodomor. 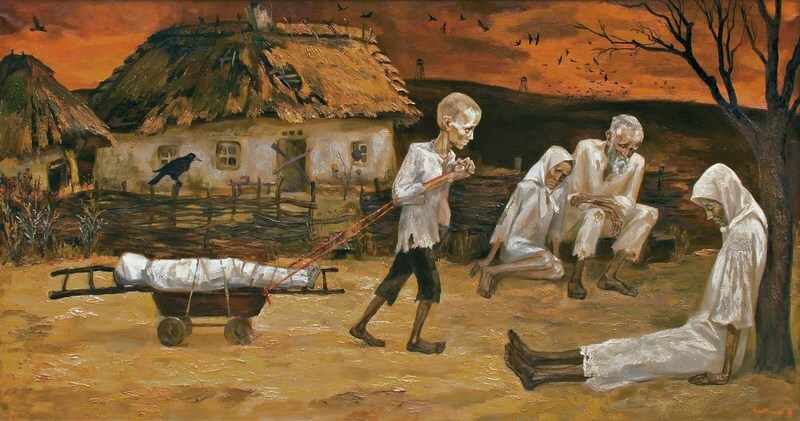 Until now, most scholars assumed that the famine hit people in southern Ukraine hardest because that is a region that has often suffered from drought. But in fact, “the most severe hunger” and “the largest number of those killed” was in central Ukraine (Kyiv, Poltava and Cherkasy), he says. What that means, Plokhii continues, is that the famine was artificial, the work of the Soviet state and one directed first and foremost at ethnic Ukrainians. “Hunger in 1933” by Peter Savchyn (2001, brush and oil). From the stories of Dudziak and Kobrynsyy, who in 1933 worked in funeral squads in Kyiv oblast. 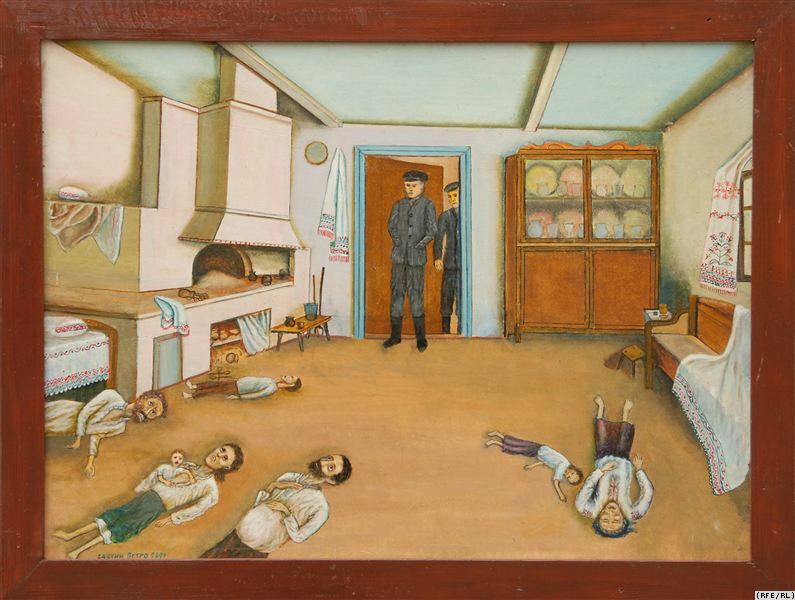 Natalia Levchenko, a HURI demographer, says that the researchers came to understand that the roots of hunger in Ukraine begin in 1931 and not just in 1932 when the hunger began and that ethnic Ukrainians died “at a rate at least twice that of all other” nationalities living in the republic. These HURI findings make it clear that the terror famine was directed first and foremost against the Ukrainian nation and was organized by Moscow rather than being the product of natural causes. And that means, the HURI study says, that Russian propaganda about the Holodomor is false and must be rejected as such.